Not just a new hair salon for Devonport, but also a brand-new business venture for owner Anne Willis. 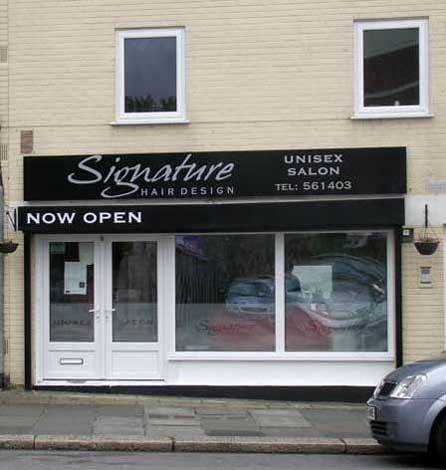 Anne opened the salon in December 2008 with stylist Lisa and junior stylist Trudi Connelly. Anne is also a qualified trainer and at the moment, May 2009, is taking trainee Taylor Evans through her certification process. She says Taylor is a fast learner and will be fast-tracked towards her certificate. All the staff at Signature find the neighbouring businesses in Fore Street very helpful, including Chicos, Welcome Hall and the Mecca Bingo - "everyone is so friendly in Devonport" Anne said. Devonport Online wish them every success in their venture. 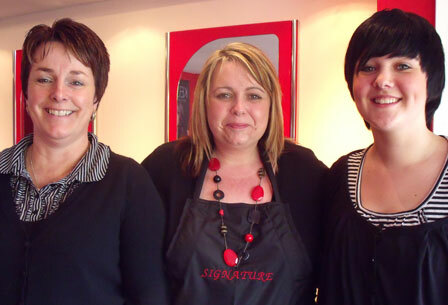 Photo taken May 2009 in the salon: Anne Willis on the left, Trudi Connelly centre, Taylor Evans on the right.